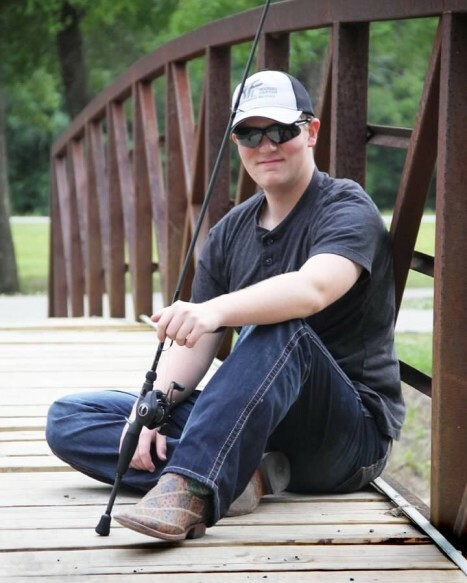 Travis Layne Jordan- age 18 of Devers passed away September 3, 2018 in a motor vehicle accident that also took the life of his maternal grandparents Harvey Lamar DuBose and Georgia Ann Jones DuBose. Travis was born in Beaumont, Texas February 26, 2000 the son of Roger Jordan and Melissa DuBose Jordan. A graduate of Liberty High School Class of 2018, Travis had just started taking classes at Lee College. Travis was a member of the FFA for four years in High School. He enjoyed hunting and loved to fish. He also enjoyed playing video games, airsoft, paintball, and welding. He was also willing to lend a hand and loved to give big hugs to his family and friends. Travis also enjoyed and loved his K-9 pals Maggie and Rough. He leaves behind to cherish his memory his loving parents Melissa and Roger Jordan, his brother Chase Jordan, paternal grandparents Rev. Lonnie and Mary Jordan. His maternal aunts and uncles: Dwayne and Patti Zeigler, Charlotte Zeigler, Shane & Allison DuBose, and his paternal aunt Kimberly and Dennis Hart. In addition he leaves a host of cousins, friends, and extended family. He will be sadly missed by all who knew and loved him. Visitation for Travis will be held Monday September 10, 2018 from 5-8PM at the Apostolic Church of Beaumont 3333 Eastex Freeway Beaumont, Texas. Funeral service to be held Tuesday 11AM September 11, 2018 at the Apostolic Church of Beaumont. A graveside service will be held at 3PM Tuesday in Rice Belt Cemetery. Condolences and memories can be shared online at www.allisonfuneralservice.com.